With its rich farming heritage, the Wimmera Southern Mallee has community at its heart. The region has a proud history on the land and looking forward to making the most of new opportunities in renewable energy, tourism and logistics. Not to forget the services such a comprehensive industry base needs, from banking, finance, legal, retail, and machinery sales and servicing to healthcare, education, agronomics, and grains research and development. All this, enriched by a vibrant culture and spectacular landscapes that offer all sorts of recreational activities. 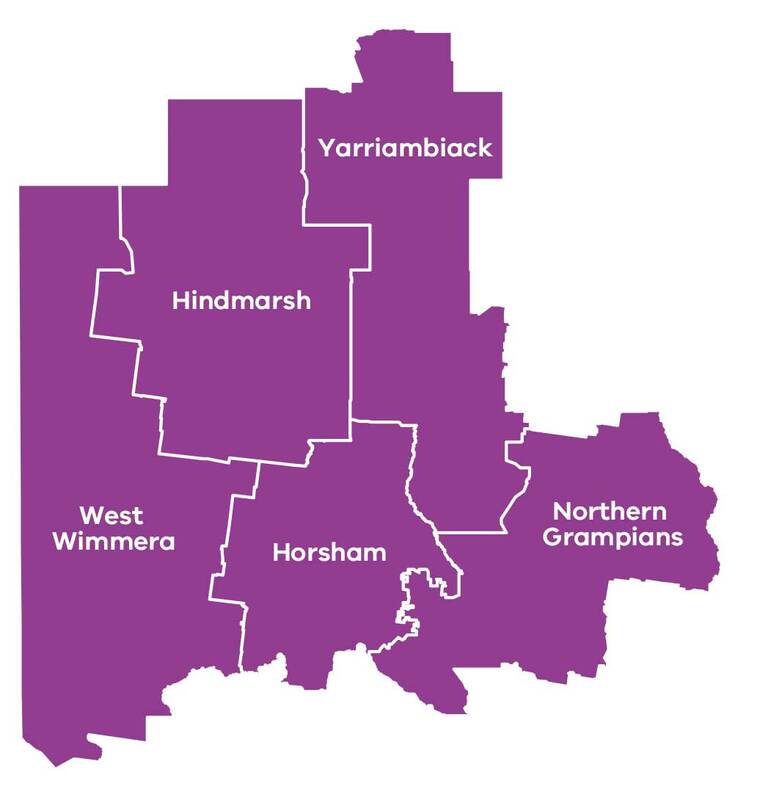 The Wimmera Southern Mallee region involves five municipalities in western Victoria: Hindmarsh, Horsham, Northern Grampians, West Wimmera and Yarriambiack. Expansion of high-value production, and potential for new enterprises arising from the Wimmera-Mallee Pipeline, are becoming increasingly important to the regional economy. Developing the minerals sands industry in the Murray Basin. Developing new nature-based and Indigenous tourism products in and around the Grampians National Park. Horsham has experienced steady growth in recent years, but an overall ageing of the population, and population decrease within the region, has prompted investigation into new measures to stabilise and/or grow populations, particularly in smaller communities. The impact of climate change on agricultural production, water supply and security present challenges to regional communities and industries. The region recognises it can no longer rely almost exclusively on its agricultural economic base and is seeking to diversify industry, attract new investment and develop new industries through education, infrastructure and broadband connectivity. The Wimmera Southern Mallee Regional Growth Plan is one of eight regional growth plans across Victoria. It provides a broad direction for regional land use and development as well as high level planning frameworks and the means to implement the strategic land use and infrastructure directions that are set out in the Regional Strategic Plans.